This time next month this gorgeous couple will be celebrating their first year anniversary! 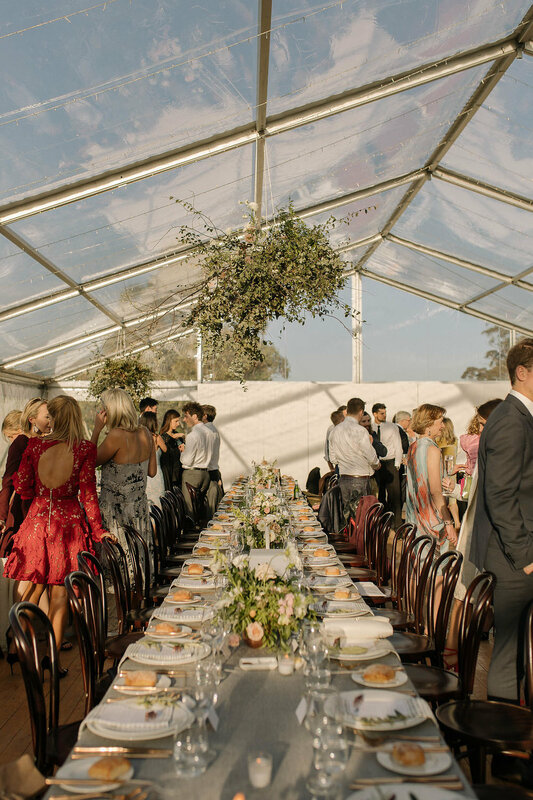 My team & I were fortunate enough to flower up Katie & Matt’s wedding in the Southern Highlands over two beautiful days of installation. The venue was a family friends private property with the perfect countryside backdrop for Katie & Matt’s ceremony & a clear marquee for dinner and dancing by White Top Venues. I loved working with Katie & her Mum on all things floral, tablescapes & styling leading up to this glorious Spring affair. Its always a dream to work with clients that really appreciate and care about all the details coming to life to reflect their style. 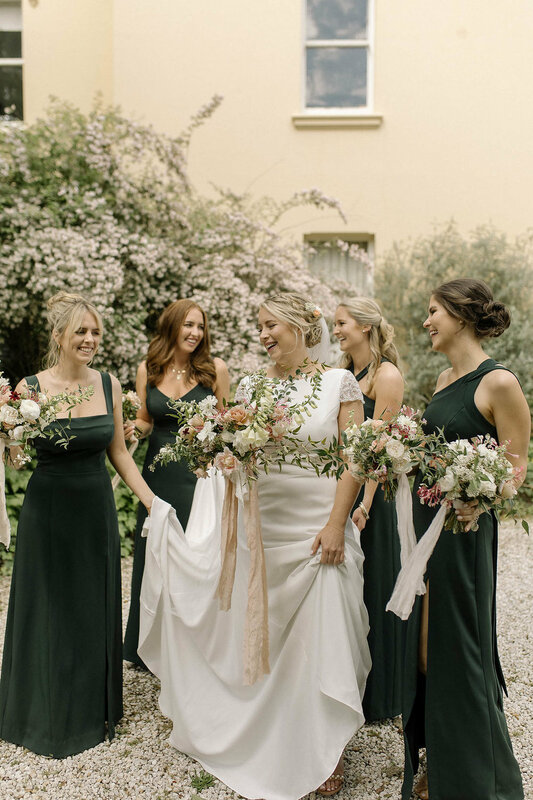 Here are some of the dreamy captures by Sophie Thompson Photography. You can also see the video of all the behind the scenes floral goodness coming together HERE on our homepage by Will at wilsonarcher.com. White foxglove, scabiosa, Julia roses, blush ruffled double tulips, chocolate cosmos, rice flower and foliages of nandina, geranium & honeysuckle. I always encouraged my couples to take a little time between portraits and their reception to take in their dinner, dancing and party space with no guests around. They have put so much time, thought and love (and money!) 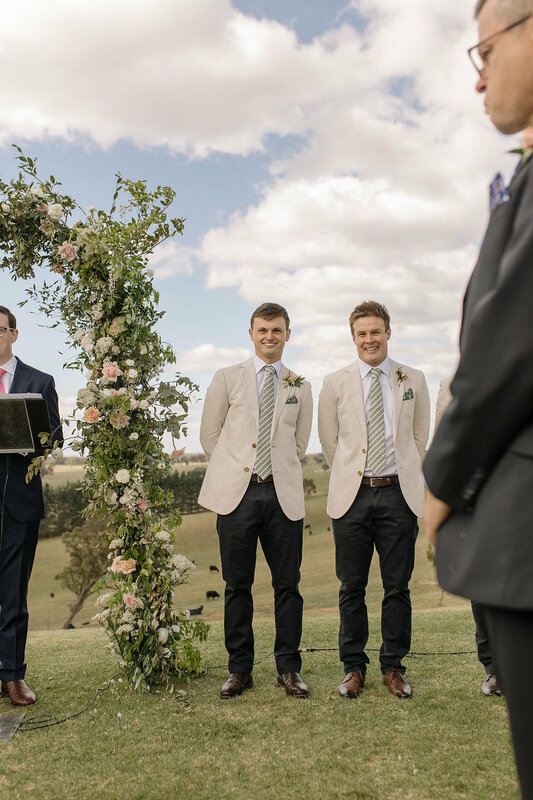 into such a meaningful celebration & I think its important to take a moment to breathe it all, to experience what theirs guest will experience as they walk into the venue - so special!